Lemor Irish plays football for the Dominica State College and he has also represented Dominica at the youth level in football and basketball. But it is in Calypso at the youth level that Lemor "De Irish Kid" Irish has made his name. His Calypso career started at nine and now at 18 he has decided to join his seniors. Lemor attended the St. John's Academy in Portsmouth; from there he dominated the youth Calypso stage. In 2017, his last year at secondary school, he won his fourth title with a song entitled: "You Can Depend on me" written by former calypsonian Livingston Cassell (of "Mona woi, look a band coming down" fame). 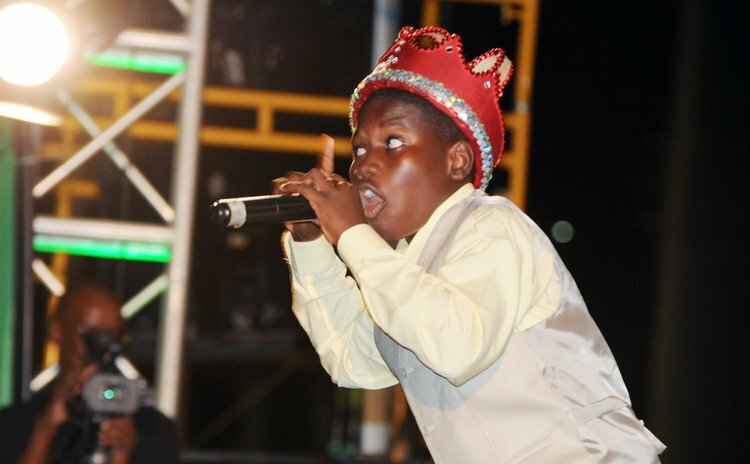 Undoubtedly Irish Kid dominated the Junior Calypso Monarch winning four titles in a row dating back to 2014. Now he has joined the big league by entering into the senior Calypso competition. After going past the elimination stage, De Irish Kid is now in the Quarters Finals scheduled for the Windsor Park Forecourt on February 2, 2019. For the four-time Junior Calypso Monarch, getting into the senior competition is "normal." "I am used to the big stage going and sing and perform…now it is time to build and better myself in the Calypso arena," he said. His song for the Quarter Finals was penned by Catholic priest Branker John, a former two-time Calypso monarch of Dominica. "My song speaks about a positive message to the youths and Dominica and worldwide telling them don't give up and always remain committed in what they do and have a positive mind set," Lemor said. "I am not threatened by being in the big league you must have confidence in yourself; my intention is move to the Semis and then to the Finals and I know that I am capable of so doing," De Irish Kid said. His message to the youth is simple: "Calypso is a good avenue to enter into to express yourself in song, so join it and have some good fun." His message to his peers is "be positive; in life you have to be committed, manage your time put your education first because without education you go nowhere; do some dancing, singing and play sports and have some good fun and the rest will fall in line."